Current programming languages do not offer adequate abstractions to discover and compose heterogenous objects over unreliable networks. This forces programmers to discover objects one by one, compose them manually, and keep track of their individual connectivity state at all times. 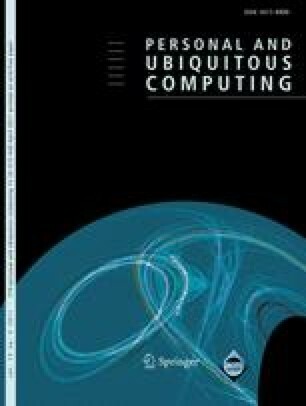 In this paper we propose Ambient Contracts, a novel programming abstraction to deal with the difficulties of composing objects connected over unreliable networks. Ambient Contracts provide declarative heterogenous group discovery and composition while dealing with the unreliability of the network. An ambient contract allows runtime verification and enforcement of the messages sent between the participants in the contract. The use of our abstraction significantly reduces the code base and allows programmers to focus on the core functionality of their application. Our claims are reinforced by comparing the implementation of an example scenario in our contracts with a Java implementation using M2MI. Christophe Scholliers is funded by a doctoral scholarship of the IWT-Flanders. Dries Harnie is funded by the Prospective Research for Brussels (PRFB) program of IWOIB-IRSIB. É. Tanter is partially funded by FONDECYT Project 1110051.